Do you like mini-golf? With this game you can have fun putting on different golf courses. Help Dora swing to hit the ball. But watch out for traps. You and Dora's Explorer Star friends may need to help! The reward? Nine printable scorecards that can be printed once the game is over. Use mouse to aim, left click to hit. If you want to play Dora The Eplorer Dora's Star Mountain Mini-Golf games online you have come to the right place! 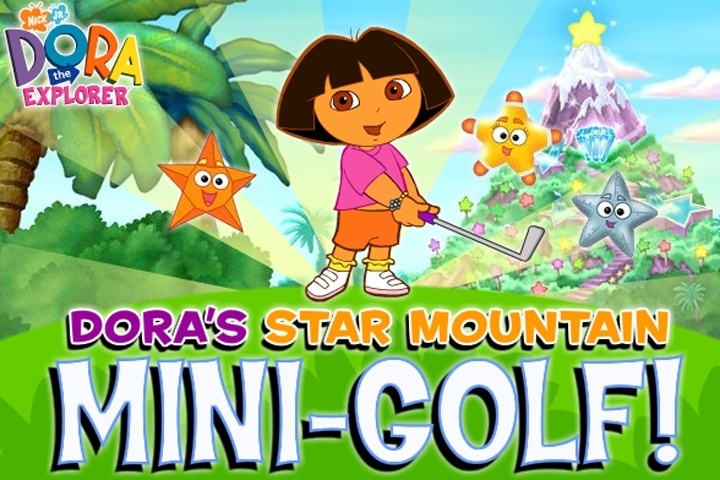 GamesLoon adds new Dora The Eplorer Dora's Star Mountain Mini-Golf games every week. This is your game portal where you can find the biggest collection of free Dora The Eplorer Dora's Star Mountain Mini-Golf games online. Do not forget to rate our Dora The Eplorer Dora's Star Mountain Mini-Golf free online games while playing!